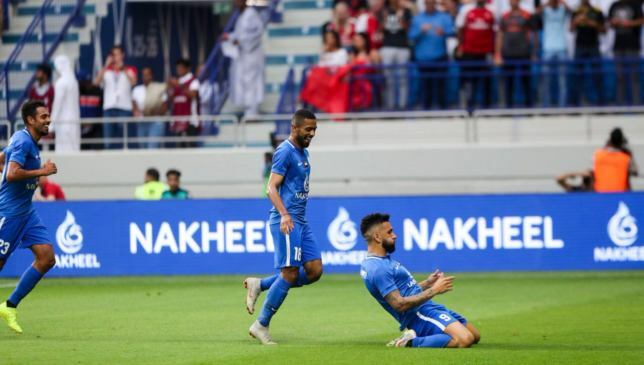 Arsenal overcame a lively opening from Dubai hosts Al Nasr to triumph 3-2 in a match to officially open the Arabian Gulf League’s revamped Al Maktoum Stadium. The hosts were far the better side in the first half, going in front via Ronnie Fernandez’s stunning strike. Carl Jenkinson levelled before the break and the Premier League giants completed the comeback through Alexandre Lacazette and Tyreece John-Jules goals. A game that felt like we were instantly back in pre-season is hardly the time to pass judgement on one of the Premier League’s finest players. But deep in the heart of Dubai, this friendly was a microcosm of Ozil’s career in north London. Whether it was a meaningless game or not, we got to see both the bewitching and baffling sides of the gifted German. Gliding about the pitch in the first half, he always looked like the man who would stitch something significant together for Arsenal. 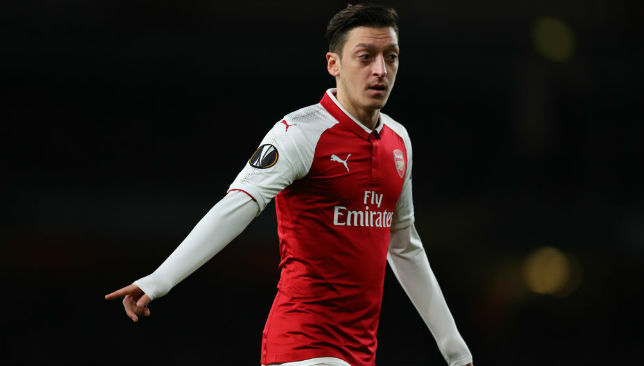 The problem was the Gunners were misfiring as Nasr blasted out of the traps, and every neat flick or quick-witted move from Ozil was followed by a lackadaisical, lazy pass or a lackluster, over-ambitious one. Contrast that with his contribution to the goal that put Arsenal in the ascendancy. As Ainsley Maitland-Niles attacked the space, you could see Ozil’s radar was already switched on to where he could direct the move next. He wandered into space, drew two defenders, and when Maitland-Niles found him, he feathered a pass into the path of Lacazette for an easy, but stylistically excellent, finish. As a player, he is equally enthralling as he is an enigma. Ronnie Fernandez slides to celebrate a breathtaking opening goal. Okay, sure, any club is going to raise their level when competing against one of the biggest clubs in the world – look at how fellow UAE clubs Al Jazira and Al Ain performed against Champions League winners Real Madrid at the last two Club World Cups. But just what rock has this Blue Wave been hiding behind all season? Sure, this was no more than a friendly for the Premier League big boys, but they still had stars Ozil and Lacazette on the field – and yet they were by far the second best side on it. Nasr were sharp, incisive and full of attacking intent – they were a joy to watch. Can this performance now kick-start the Benat San Jose era? All is lost for this season. They sit a lowly 11th out of 14 teams in the AGL and remain perilously close to the relegation zone, five points above second-bottom Emirates Club. Any conciliatory success in the cups was robbed on each occasion by Shabab Al Ahli Dubai Club – who knocked Nasr out of both the President’s Cup and Arabian Gulf Cup at the semi-finals and quarter-finals respectively. On this performance, their cataclysmic failure of a campaign is a puzzling conundrum to explain. Tyreece John-Jules shone and scored after coming on. Clubs the world over are pouring into the UAE, and especially Dubai, during the European winter for some much-needed relaxation and recharging of the batteries as the torturous business end of the season takes its toll. 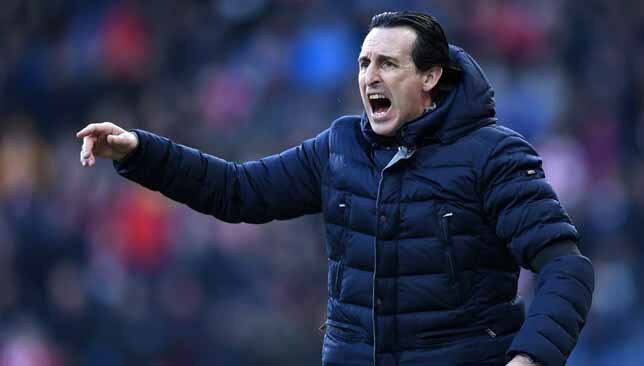 For Unai Emery and his men this was a chance to regroup, relax and refocus ahead of the return of club football this weekend. The Gunners went into the international break on the back of fine victories against Manchester United – revenge for their FA Cup exit – and a resounding 3-0 win in the second leg of their Europa League last 16 tie against Rennes, to undo the damage done from a 3-1 first-leg defeat. The United triumph saw the men from the Emirates leapfrog the Red Devils into the coveted final spot in the Premier League’s top four. They welcome Newcastle to the Emirates on Monday ahead of a tricky trip to Everton, in what is sure to be a tight and tense race for the last two Champions League places. This was a useful break and run-out. But now, the most testing period of the season approaches. 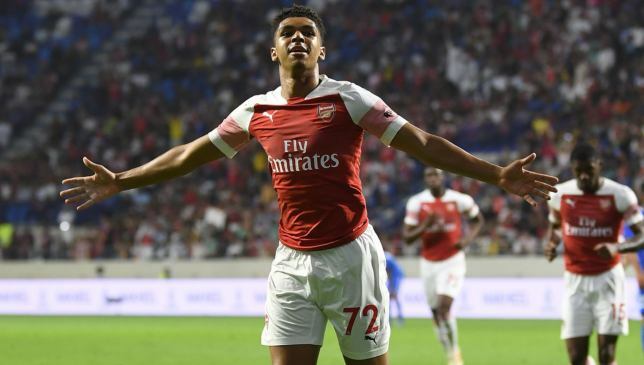 Arsenal secured a hard-fought 3-2 win over Arabian Gulf League strugglers Al Nasr – going 1-0 down before surging back in the second half. Arsenal, second best throughout the opening 45 minutes, fell behind to a sumptuous strike. Brazilian Junior Dutra flew down the right and had the awareness to look up and pick out Chilean Ronnie Fernandez. He curled an effort beyond the despairing Bernd Leno which went in off the inside of the post. The Gunners fired back via Denis Suarez’s exquisite vision. 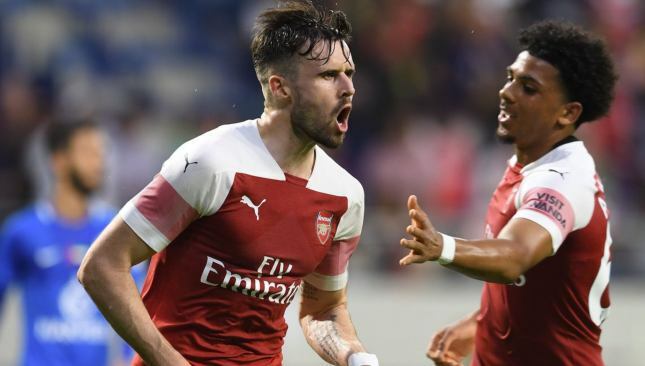 He picked out Carl Jenkinson’s run and after the much-maligned right-back’s first effort cannoned off the upright, he thumped home the rebound. Unai Emery’s side gained far more of a foothold in the second half and went 2-1 ahead within minutes of the restart – Mesut Ozil’s impish flick set up Alexandre Lacazette who had the simplest of finishes. They scored a killer third late on through an astute and calm finish from teenager Tyreece John-Jules, before Nasr earned a consolation through Khalid Jalal’s penalty. Bernd Leno 7: Was a lot busier than perhaps he would have expected to be. Called upon numerous times and was sharp and alert. Could do nothing about Fernandez’s fantastic effort. Carl Jenkinson 6: Struggled with attacks down his side. But thumped home the equaliser having hit the woodwork with his initial effort. Shkodran Mustafi 5: Easy in the second half following a wave of Blue Wave substitutions. Struggled badly with Nasr’s pace and Alvaro Negredo’s brutish presence in the first half though. Dinos Mavropanos 4: Simply could not compete with Negredo. Was outmuscled in nearly every duel. Easier second half but that belied a below par showing. Zech Medley 7: Had work cut out with Blue Wave surging forward, but was diligent and got forward too. A real athlete with pace to burn. Charlie Gilmour 6: Showed good poise on the ball and distribution was impressive. But he and young colleague Sheaf were badly exposed and sliced through regularly. Ben Sheaf 5: Overawed a little and was perhaps feeling the heat. Struggled in the first half but looked more at ease as Arsenal turned it on in the second half. Xavier Amaechi 6: The box of tricks always looked dangerous with the ball at his feet. Couldn’t quite conjure any magic. Mesut Ozil 7: Can see why he frustrates fans. Eminently brilliant and capable of the extraordinary. But is too often ordinary. Gorgeous back heel put chance on a plate for Lacazette. Denis Suarez 8: Always capable of lighting the fuse. Pristine vision slipped in Jenkinson, who scored at the second attempt. Could play a big part in remainder of the season. Alexandre Lacazette 7: Kept the Nasr backline honest as he foraged for chances, but largely fed on scraps as his side were pegged back. Always alive after the break, took chance well, could have had more. Petr Cech 6: Little to do bar a routine few saves here and there. Ainsley Maitland-Niles 7: Promising player continued his development, sparking the move that led to Arsenal’s second minutes after coming on. Julio Pleguezuelo 4: Seemed to commit a blatant, reckless foul on Omar, but the referee thought otherwise. Busy. Clumsily then conceded a needless penalty. Jordi Osei-Tutu 6: Came on and looked bright without getting involved too much. Tyreece John-Jules 7: A lot of people are excited about the 18-year-old, and this was a glimpse into why. He broke free and calmly rounded Essa before firing past two defenders on the line. 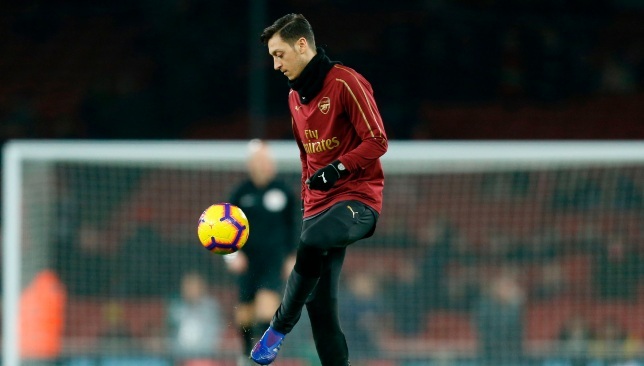 Arsenal fans in the Middle East are set for the rare opportunity to see the likes of Mesut Ozil and Alexandre Lacazette in the flesh on Tuesday night when a glamour friendly against Al Nasr, for the formal reopening of Al Maktoum Stadium, concludes a five-day training camp in Dubai. Tickets valued at Dh100 (category 3) are still available for the match (17:30 kick-off, UAE time) through Platinum List. With more than 10,000 people expected through the turnstiles, supporters are asked to arrive early and, if possible, use Dubai Metro. The meeting falling within the international break has denied the Gunners several star names, but the likes of Laurent Koscielny and Petr Cech have been present during a whirlwind tour that has also included visits to The Rashid Centre for the Determined Ones and Zabeel Palace. The Al Maktoum was extensively renovated in time for January’s Asian Cup. Malcolm Macdonald, John Matthews and John Radford were on target in a 3-1 victory for Arsenal back in November 1976 when the sides last met. Arsenal sit fourth in the Premier League after this month’s 2-0 win against Manchester United. Nasr, captained by ex-Spain striker Alvaro Negredo, are 11th in the Arabian Gulf League.